Emmaline LOVES to garden so for her 2nd birthday party favors we thought it would be fun to incorporate that love and give out seeds instead of the normal favors. I chose carrots because some of the people coming do not have garden space or live in the city. Carrots are something that anyone can grow in a pot on the patio and they come up quickly and are fun to pick at all kinds of stages of growth. I kept these simple because I wanted to be able to make a bunch of them super quickly. 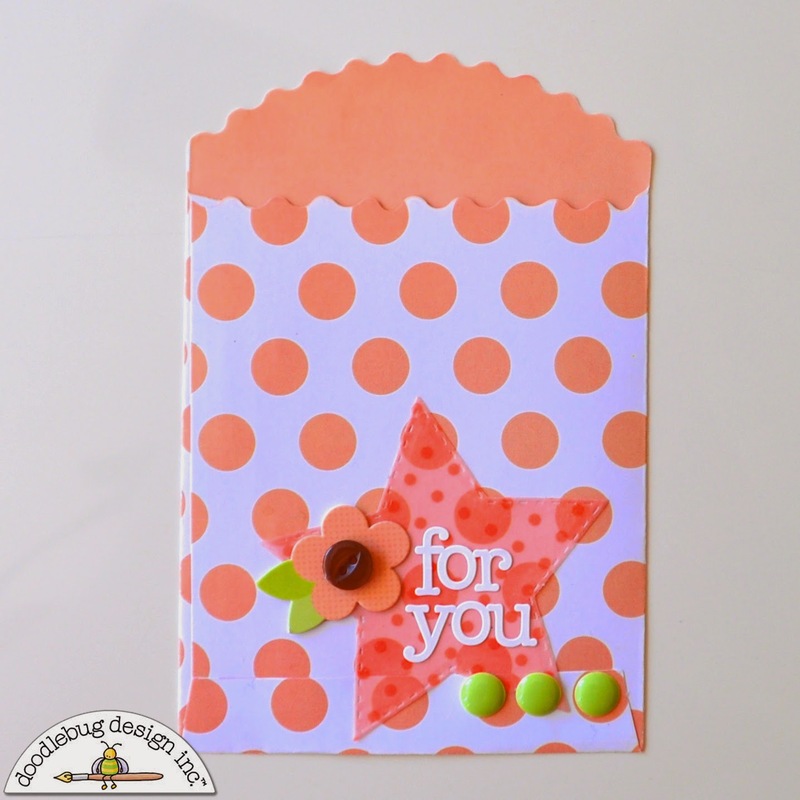 Doodlebug made this super easy! Isn't this color combo scrumptious!?! It makes me want to be a kid again and to have some otter pops by the pool! I am LOVING this coral color. I am kind of obsessed with the coral and swimming pool combination but I tried the coral and limeade... ugh. new love. Juicy. 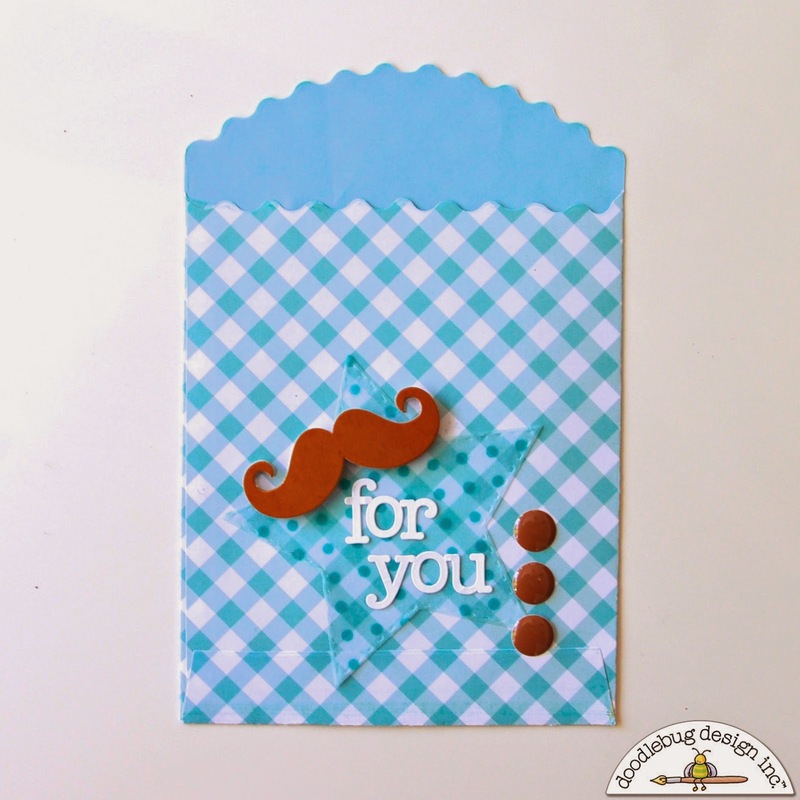 Don't you just love those mini doodle-pops? They dress up everything so quickly! I have such a hard time using those little gems (because I have hoarding problems), but when I do, I love it! When you put the seed packets in - it's a tight fit. They may crinkle just a smidgen, but they fit perfectly! Aren't they cute!?! I cannot wait to make more and let the kiddos pick out their favorites before they leave from the party. 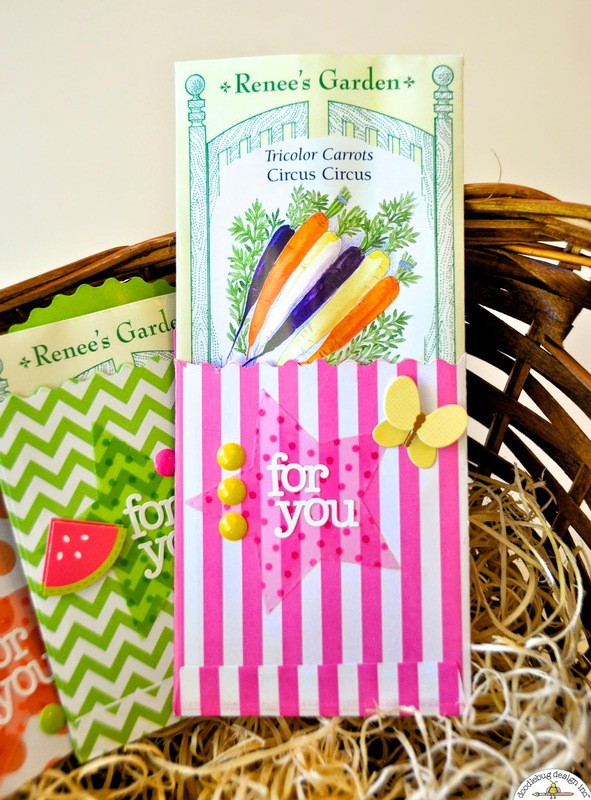 Next time you need a sweet party favor for a kids' birthday party or garden party, here is a darling idea! I hope it inspires you! 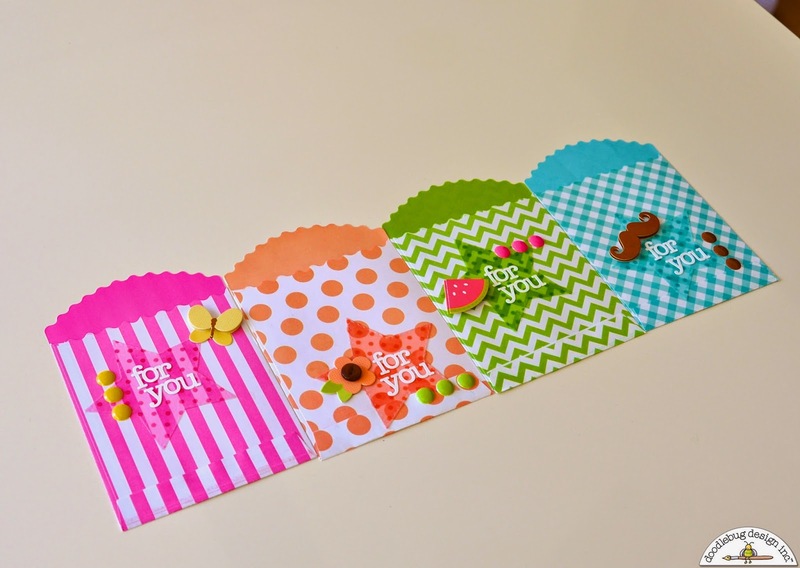 Enjoy our couple weeks of treat bag inspiration! Courtney Lee signing out! Have a beautiful day! 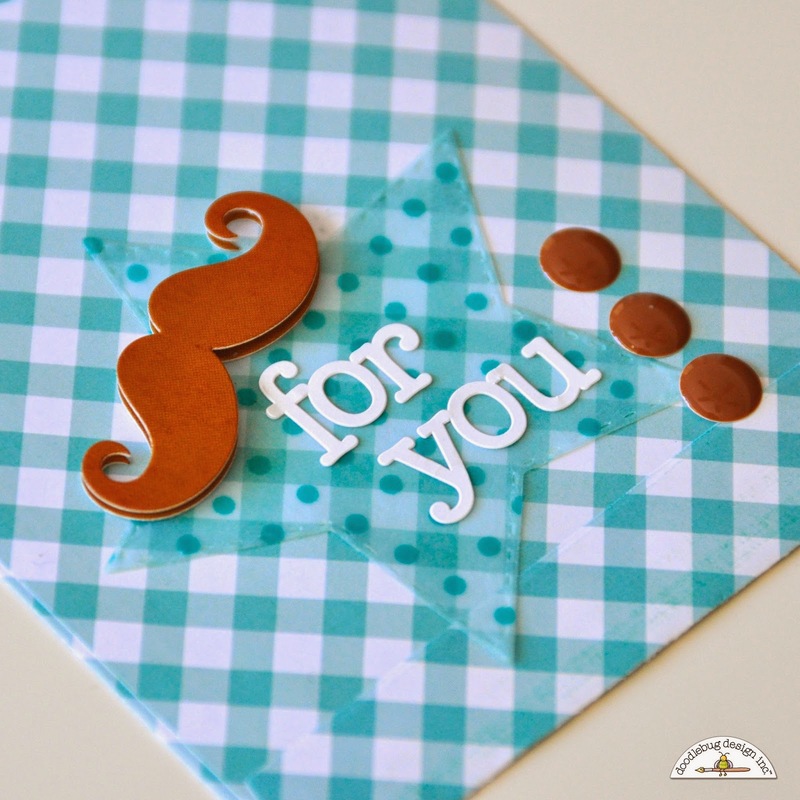 by Mendi Hello Doodlebugs! 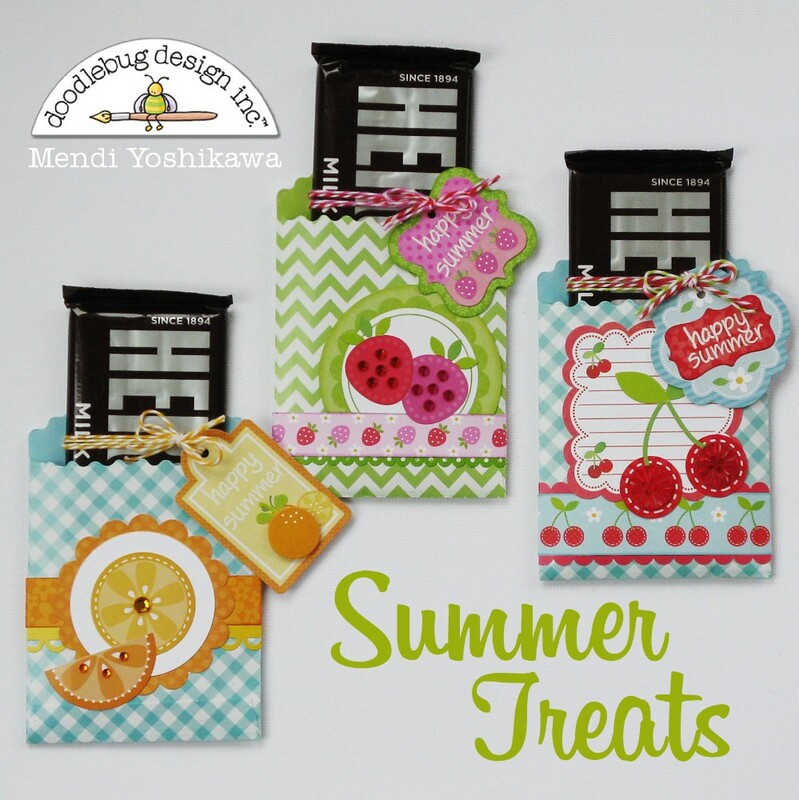 It's Mendi here today sharing some gift ideas for sweet summer treats! 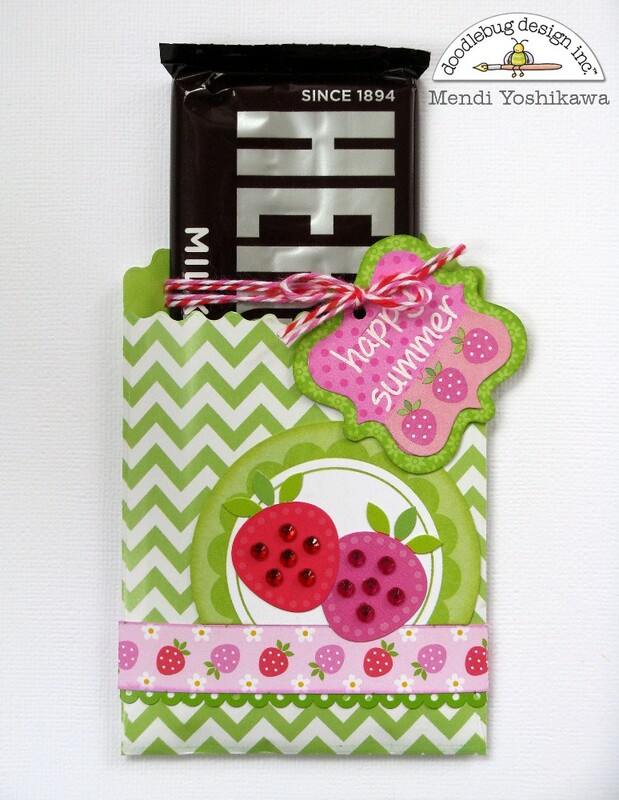 What says summer more than cute fruit images and Hershey bars for smores?! 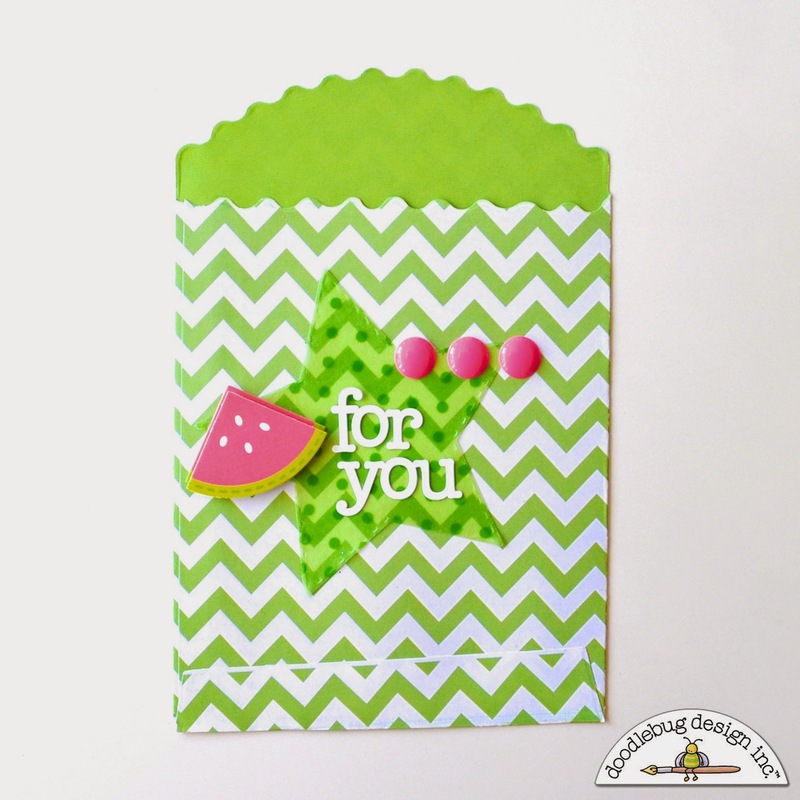 For today's project I decided to decorate Doodlebug's adorable little bags with one of my all time favorite collections, Fruit Stand! 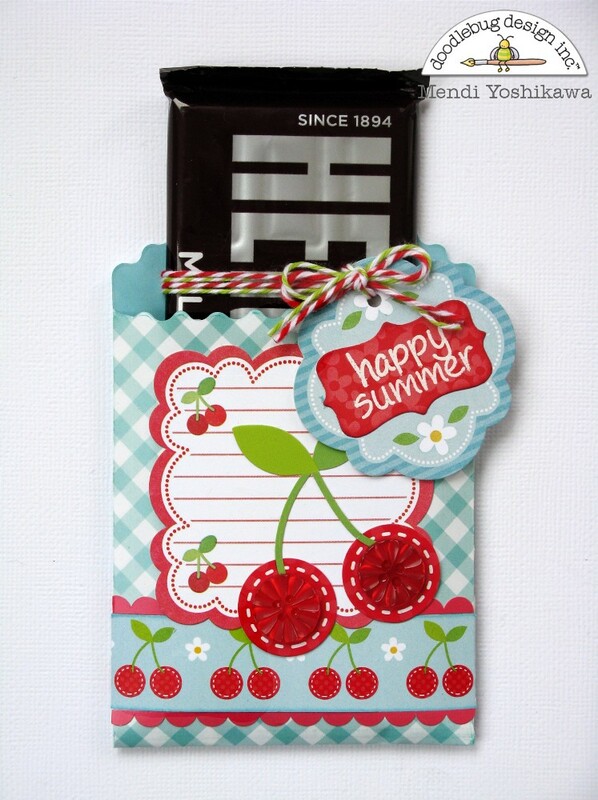 First up is a treat bag using the darling cherries from the collection. I created my tag from a sticker from the collection which I traced onto printer paper and then cut out slightly smaller & adhered to the back of the sticker to cover up the stickiness. 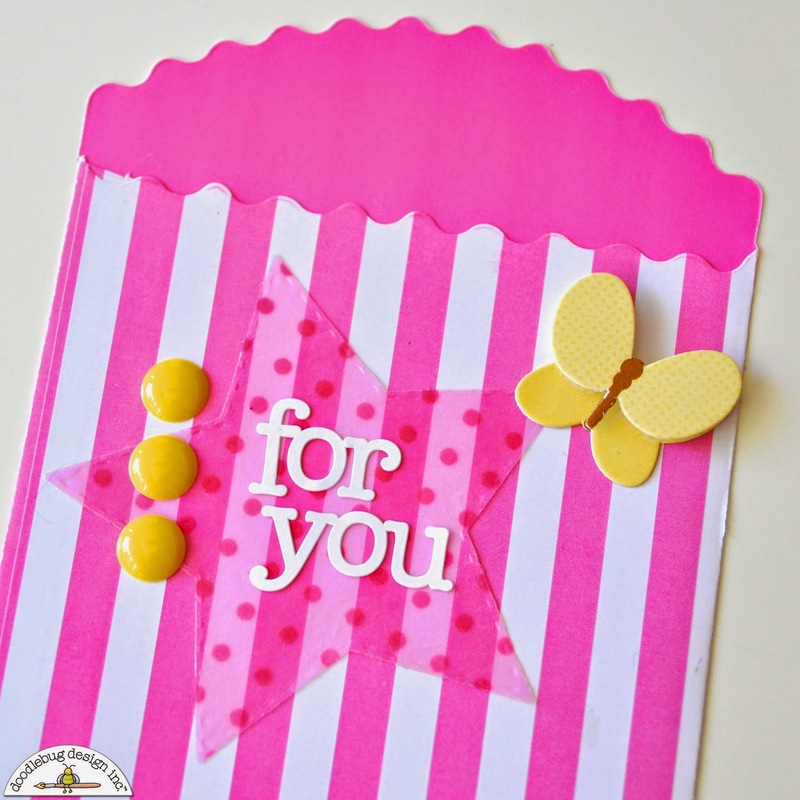 For my cherry border I used a strip of patterned paper topped with a fancy frills border sticker which I cut in half lengthwise to form a scallop on both sides. I finished it off my bag with a button added to the center of each cherry. Next up I have a strawberry themed treat. 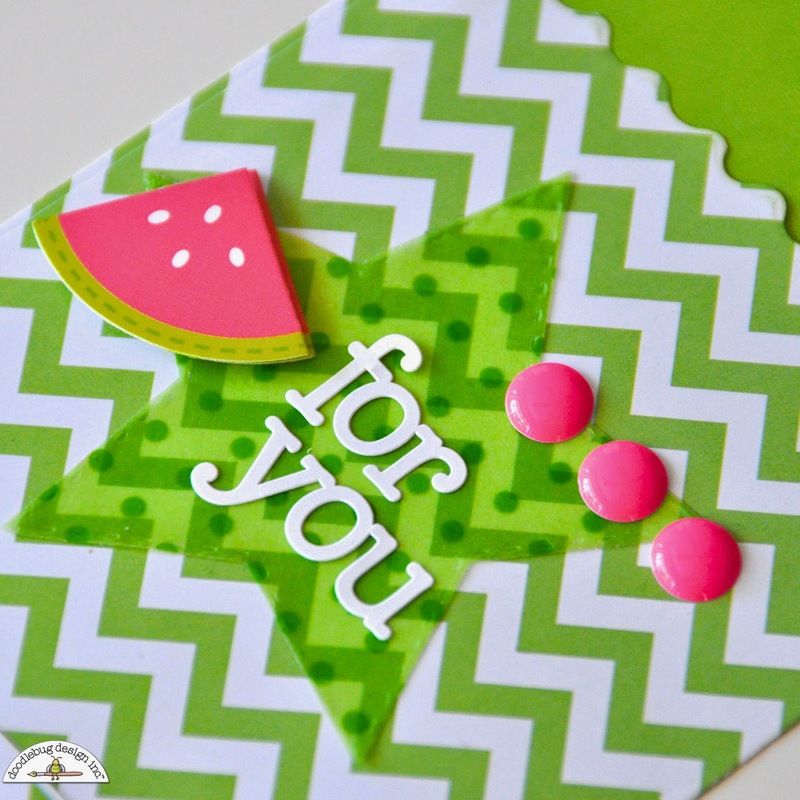 For my tag I wanted to use the little strawberry sticker tab but it wasn't quite fitting with my stamped sentiment so I simply took my craft knife with a metal edged ruler and trimmed it down. A few Ladybug and Bubblegum Mini Jewels were added to the strawberries as a finishing touch. I rounded out my trio of summer bags with a citrus theme! The little sticker tag had a green lime on it that didn't quite match the rest of my bag so I covered it up with a darling orange doodle pop. These are so fun Court & Mendi!!! Wow!! 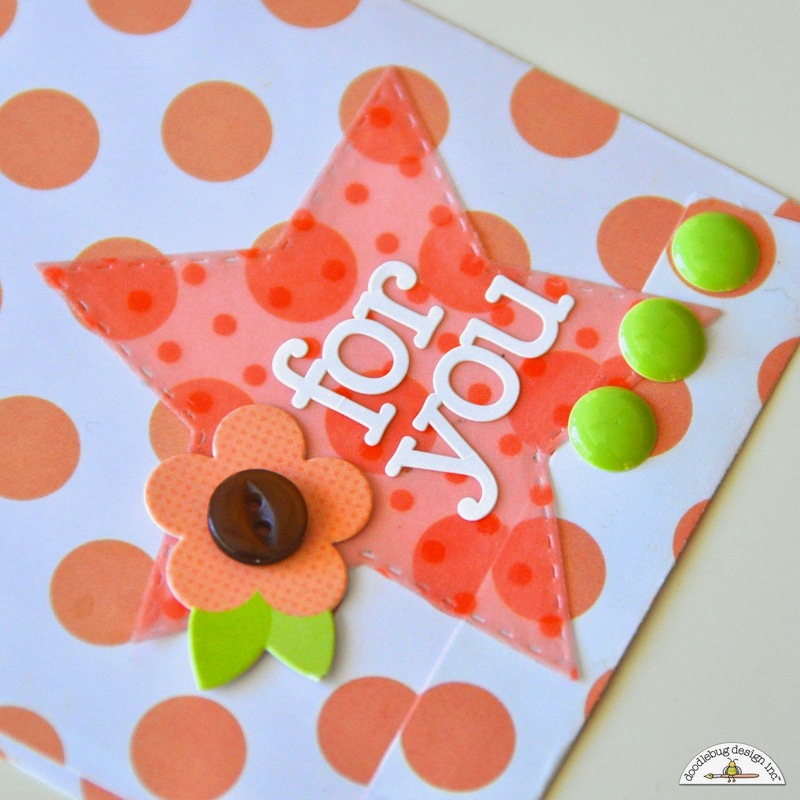 I really love Courtney's bags with the vellum stars - so amazing that a mini doodlepop and a few sprinkles can cute something up just like that!! That's why I love Doodlebug!! 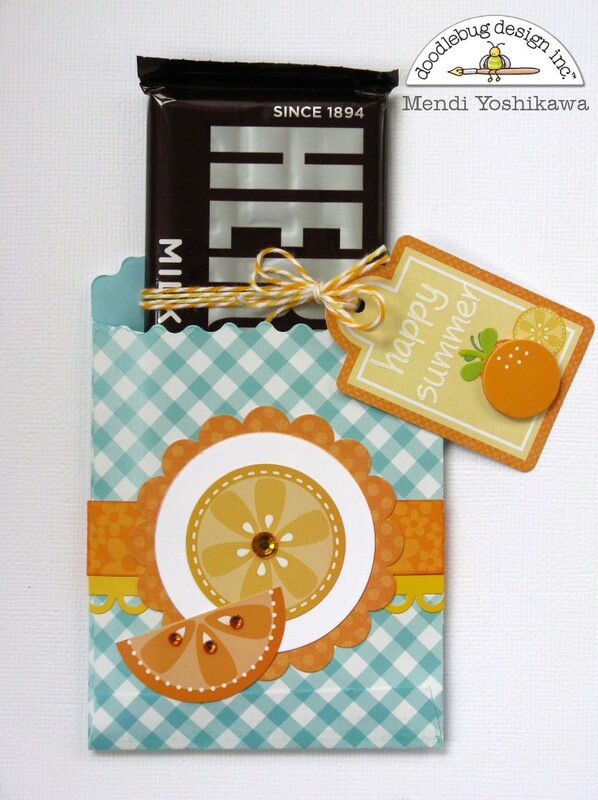 And Mendi's gift bags - love that she used the Fruit Stand collection cuz that is one of my ALL Time faves!! Great ideas! 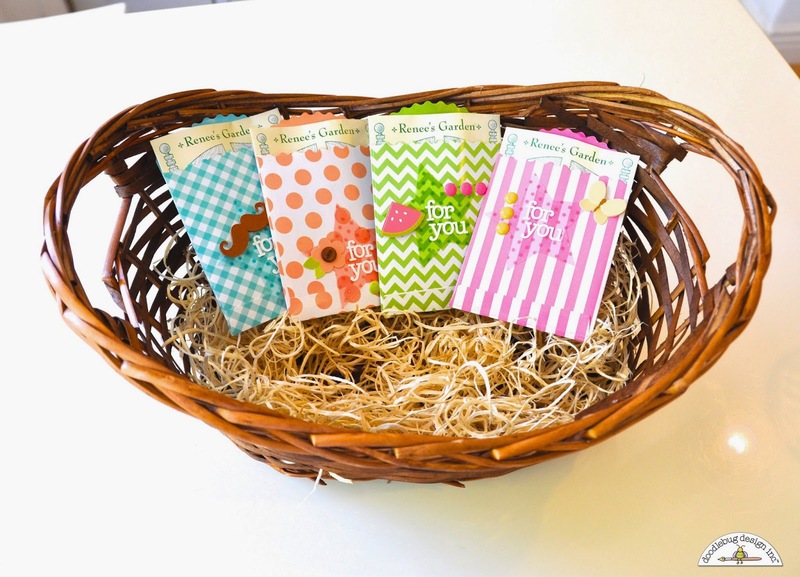 I love using these as a candy bar holder! Ok..have to ask...what's an otter pop? WOW - these are FUN & FABULOUS Courtney & Mendi!! !